Armorscale set contains parts to replace a gun barrel and mantlet in a model of KV-1 Pattern 1941-43 tank. 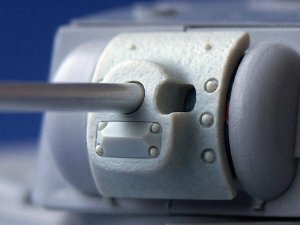 The set is not dedicated for any specific kit, so it can probably be used on both Eastern Express and Tamiya models. 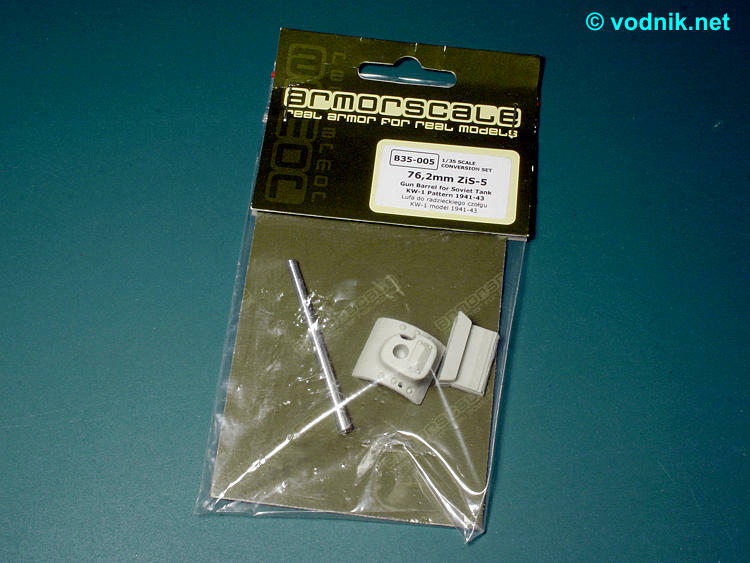 Photos provided by Armorscale show the set used with grey plastic kit, which suggests that it is Eastern Express model. The set comes in a small plastic zip-bag with a piece of protective cardboard, small instruction sheet, aluminum barrel and resin mantlet inside. 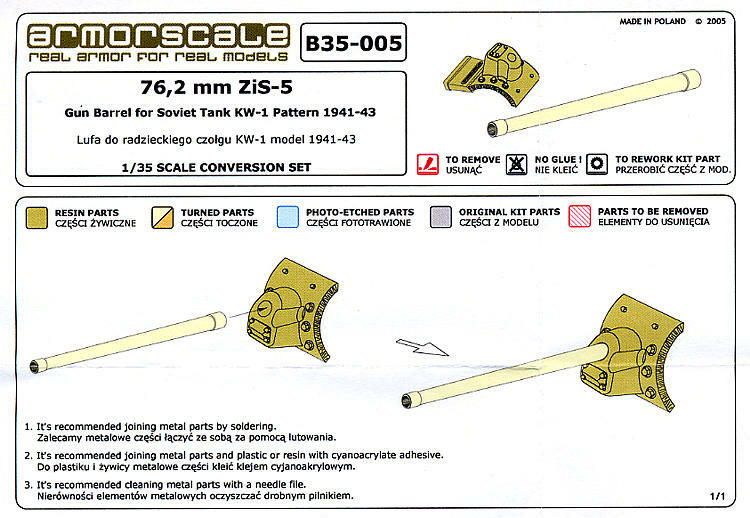 Instruction sheet shows proper assembly of the barrel and mantlet parts (not that any instructions are really needed as it is just a matter of putting the end of the barrel into the hole in resin part). 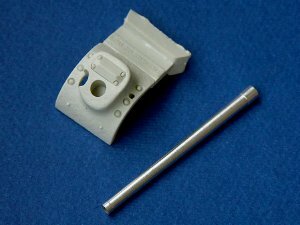 No suggestions whatsoever are given regarding the attaching of resin mantlet to kit parts, so modelers are on their own to figure out this part of assembly. 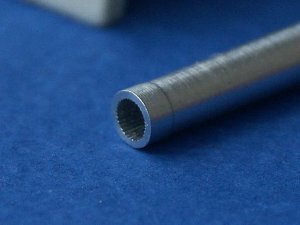 Turned aluminum barrel is quite smooth with barely perceptible machining marks. Inside the hollow muzzle opening are tiny rifling grooves. 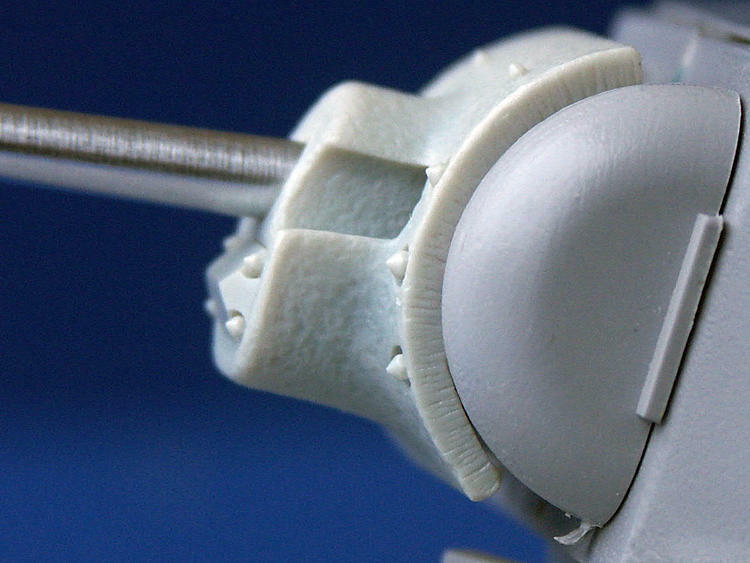 Resin mantlet has crisp details molded on it and very nice and realistic casting texture and steel cutting marks are depicted on it. Resin part comes attached to the small resin pouring block, but the area of contact between part and block is so small that the block has very cleanly separated itself from part in my set, making parts preparation even easier. The fit of aluminum barrel to the mantlet is rather loose, so great care is needed to glue these parts in perfect allignment. Photos below (provided by Armorscale) illustrate the parts attached to Eastern Express (?) KV-1 model. 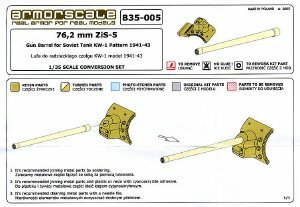 Armorscale set is simple and effective way of improving the look of the Russian tank model and inclusion of resin mantlet is a big plus, although the fit of parts could be more tight.